From the black swan to the ruby-throated hummingbird, leaf through Nature Guide Birds of the World, a beautiful guide profiling the world's most amazing bird species. Part of a new generation of compact natural history guides, Birds of the World is packed full of stunning images that reveal intricate details and unique characteristics of the species featured. Expertly written and including examples from across the globe, these guides will give you knowledge of the natural world at your fingertips. 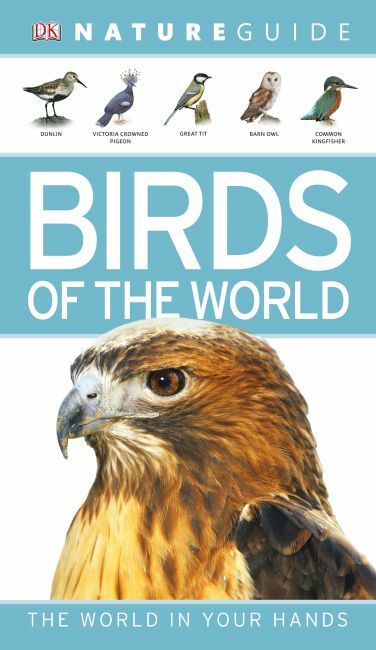 With a detailed introduction all about bird classification, anatomy, migration, habitats and flight, Nature Guide Birds of the World is the ideal bird identification guide.